End User/Customer Experience. Is your organization prepared for addressing increasing ad blocking rates? Viewability and measurability. Is your organization operating under general best practices to improve viewability? Anti-Fraud measures, industry certifications, and guidance on auditors. Anti-Malware measures, industry certifications and guidance on auditors. Anti-Piracy measures, industry certifications and guidance on auditors. Vendor validation. Do your vendors offer a complete set of signal audits and are you using them correctly? Includes Viewability and Invalid Traffic detection filtering. We will scan your reports. One-hop partner peering. Do your partnerships on each side of you in the supply chain have quality controls supporting the above? Once the CT Scan is complete, we provide a 1-2 page executive summary of areas of improvement and quality assurance. 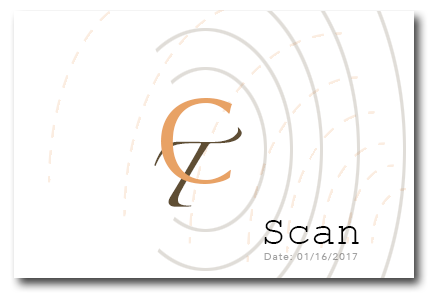 Additionally, you will receive the CT Scan seal and scan date for validation of last scan. C-Level and senior leadership find the C.T. Scan helpful in understanding where their organization falls short in compliance and controls. Contact Cunningham.Tech for your digital advertising and marketing health screening.